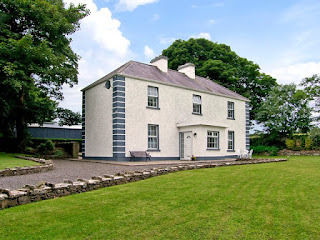 Grallagh House is a superb period house which offers self catering holiday accommodation in Ballyvary. This 4 star holiday home is just outside of Castlebar in Co Mayo & has easy access to many places of interest in the west of Ireland. The house has been decorated to the highest standards and comes with excellent furnishings throughout. This is a uniquely period house of great character on approximately one acre of landscaped grounds. The spacious kitchen/dining area is fully equipped to meet all of your needs. A relaxing and comfortable sitting room comes with a TV, DVD player and open fire. This is a lovely place to relax and unwind with friends or family. Three tastefully decorated bedrooms come with en suite facilities. 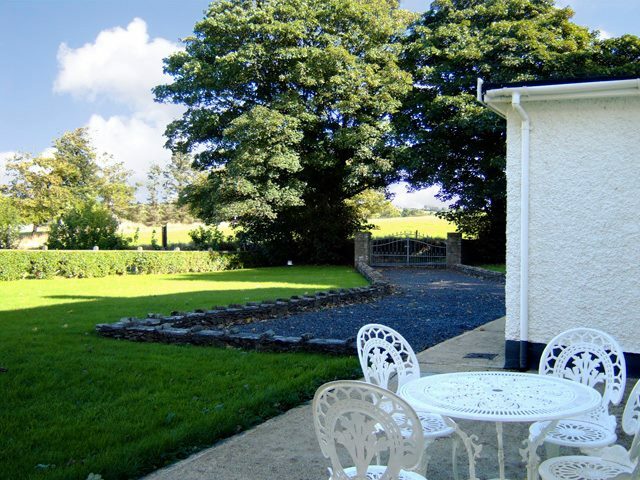 This property boasts extensive lawns & a patio with garden furniture. This is the perfect place for a spot of alfresco dining. A range of charming market towns are in every direction, and some are only ten minutes away. Lakes, rivers, Blue Flag beaches and championship golf courses are all worth visiting while staying here. The area is also steeped in history and the National Museum of Country Life is a great day out.